Beautiful navy blue and coral floral cotton men's self tie bow tie. It has the most charming floral print in coral and gold. 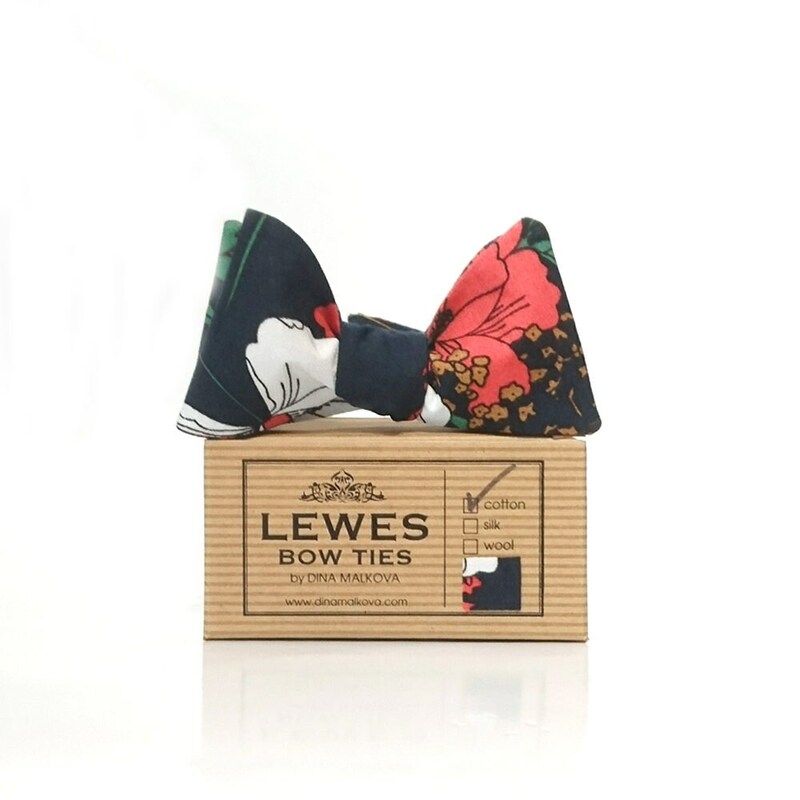 This bow tie will be great for many occasions like weddings, proms, homecoming parties or any formal events. 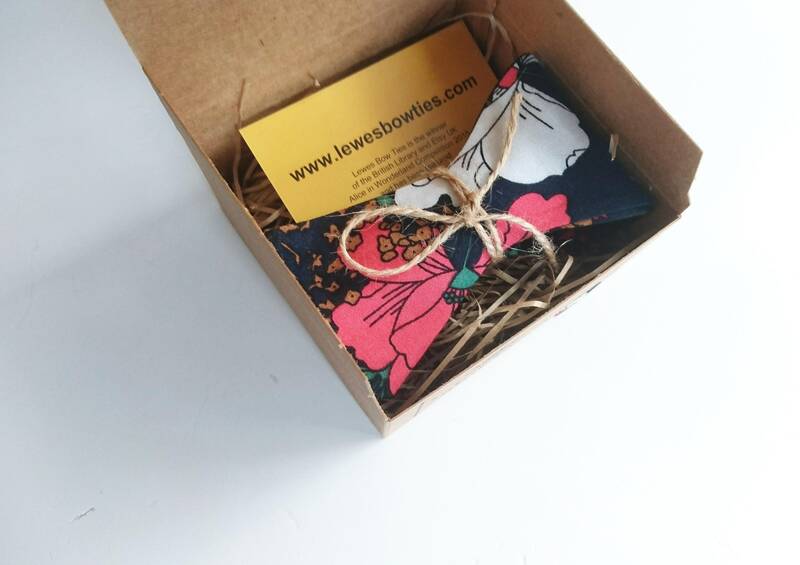 Also it makes a great present as it's beautifully made and packaged. Ironing with a hot iron, pressing lightly. Use a thin cloth between the bow tie and the iron. Great item, packing and very unique.